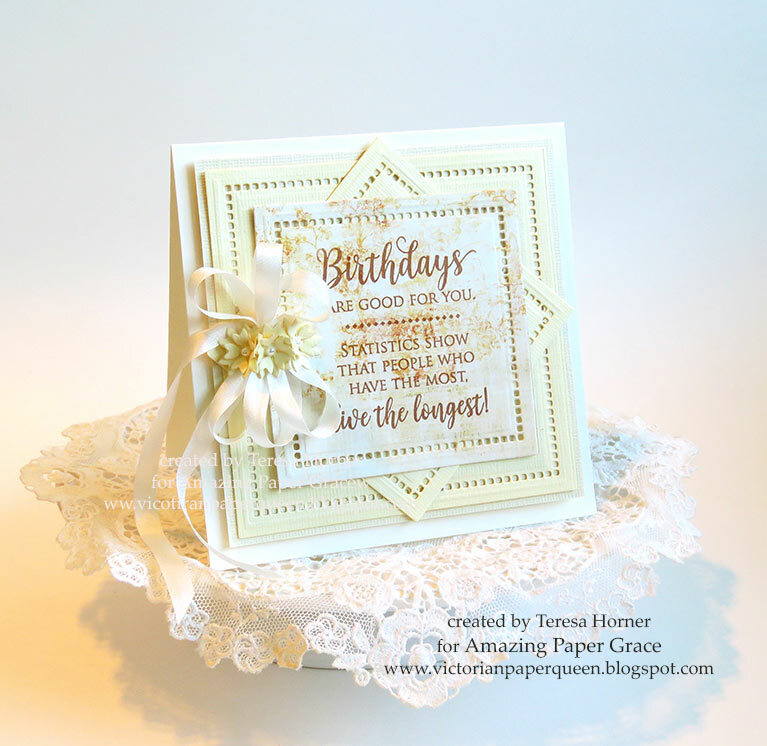 Since it's the middle of summer now and sunflowers are coming in bloom i decided to share a Birthday card i made with a really pretty shade of yellow and one of my favorite dies in the set of Romancing the Swirl set called "Hemstitch Squares". 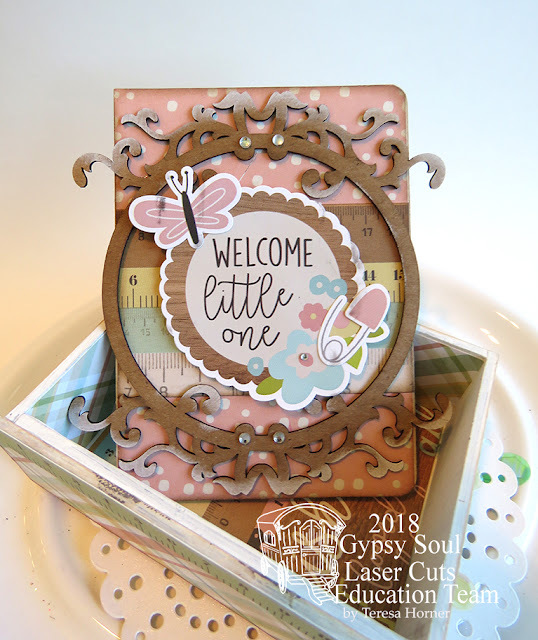 If you haven't checked already this beauty also comes in a circle, rectangle and an oval and it's by far one of my favorite dies to mix in with the others. You get lots of great sizes in the set so it's easy to mix them and this was fun because i twisted them to really show off the Hemstitch and added 3D foam dots to make it pop even more. "Happily Ever After". I love that Becca adds in little bits of dies to make flowers and other cute decorations to add to our cards and projects. She is pretty brilliant i think! Have a lovely day and hope you make something fun today! Today is a fun day to mix up a few dies and see what happens. 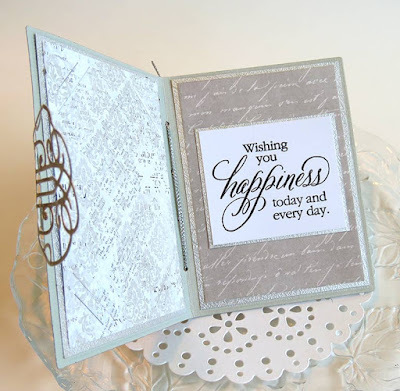 This is my favorite part of creating as you probably know about me-- so i started with the "Hemstitch Squares" and cut it in white and added the "Trefoil Crest Etched Die" in white too on top to give a more fancy effect. 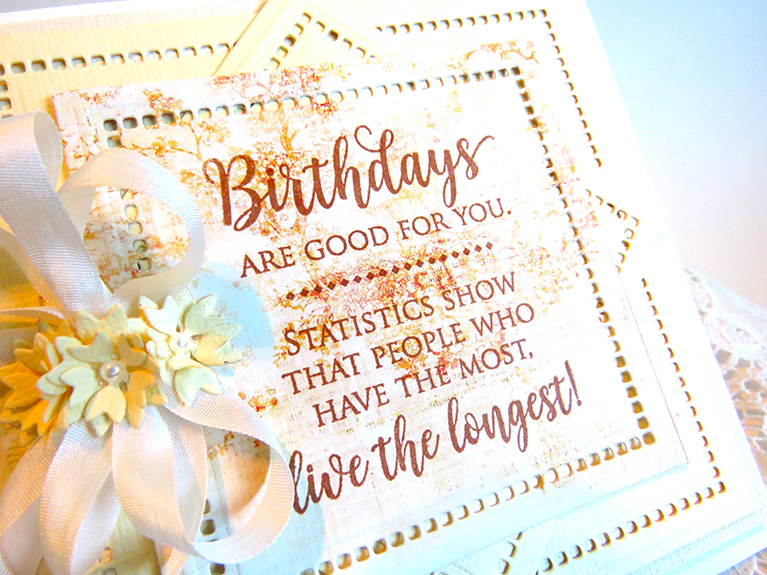 I guess you could say it's like gingerbread on a house when you mix them, they are fun little pieces that give it more pizazz and makes it really stand out. Not to mention you get a lot more use out of your dies changing them up. 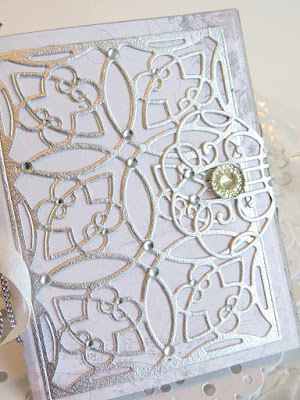 The paper has just bits of gold in the printed pieces in the set so i used mirror card on it to make it more styled for a wedding ... The other parts are just white cardstock and i used a good heavy weight so that it would give it more of a shadow. If you only have thinner paper just cut it twice to make it thicker to make it stand out more. The Always die cut is from Quietfire Design and it fits perfect! it's almost time for a new release!! I can't wait to share it with you. If you love making ATC size things then you are going to love what i have to share today. The GSLC store has lots of these little cuties to make up to be anything that you want but i just got some brand new baby papers so i created a little mini book box and some little ATC Easels to put up in a babies room to decorate. The papers had alot of cute bits to decorate all of these little things but before you start decide what needs to be painted and get that all done and dried with a good acrylic or chalk paint. Then you can measure and cut out the pieces to fit on the box and the little easels and it will go really fast. 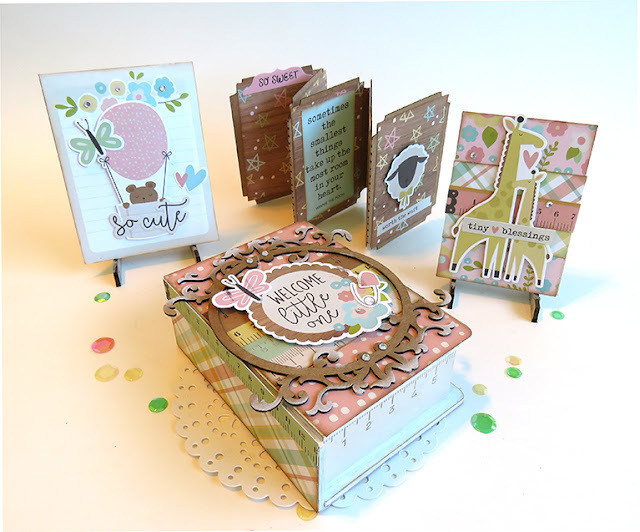 I really love all of it but the cute little book box is one of my favorite to do by far. And inside we have an ATC mini book that fits perfectly of course and i made a tiny one that can fit your favorite baby pictures from their first year. I love the stickon from this set and used alot of them. Some i added extra 3D foam squares to give them just a bit more dimension. 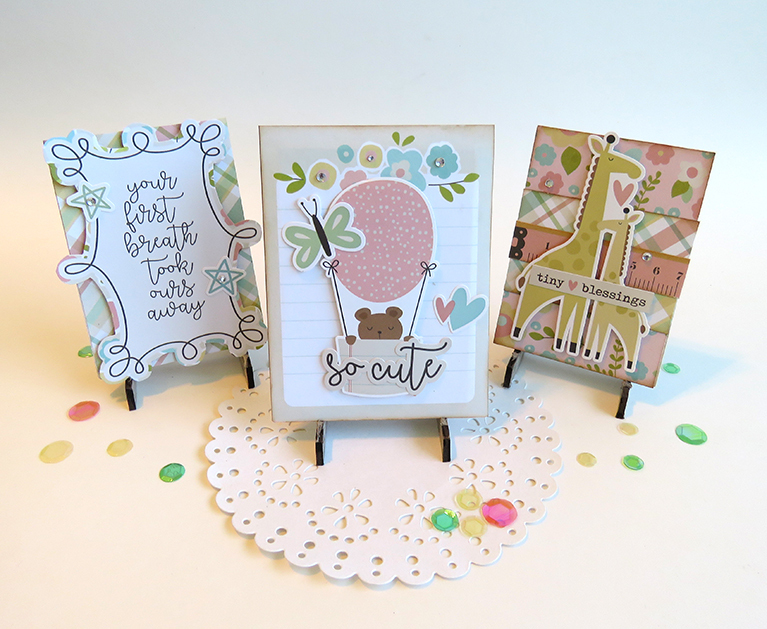 And my last photo is of the ATC Easels and the cards that go with them. This is such a neat thing and would make such a wonderful gift for the holidays. You could even put past family pictures to share each year... How fun would that be. Below i put links to all these cute little chippies and hope you will try some for yourself. Happy Saturday to all of you and thank you for stopping over... today i have a little mini book that i made for a bride for a shower that i am going to or you can even create a fancy gift card holder for a wedding. 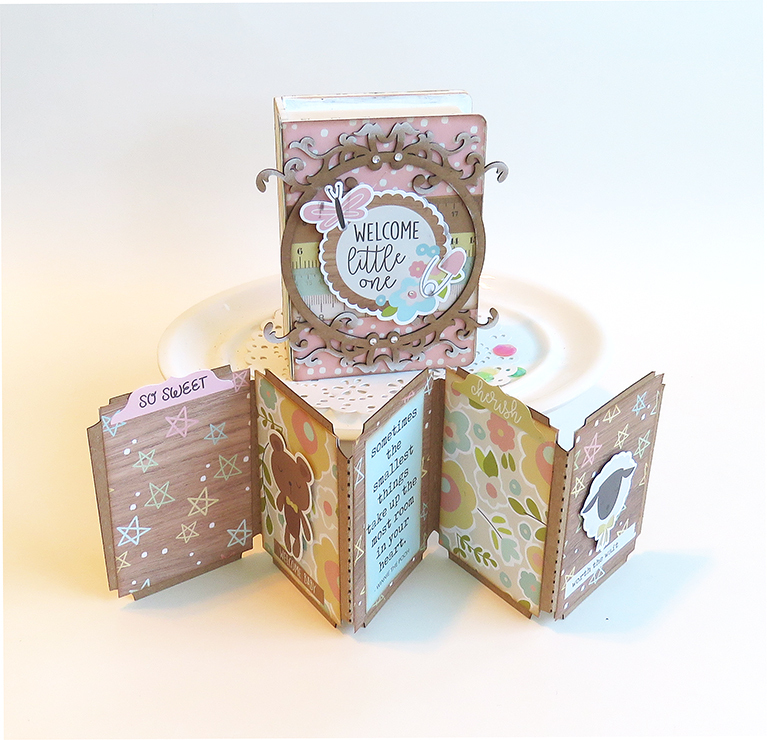 For my book i used the brand new Shapeabilities Swirl Booklet insert. And if you already have the first set this goes perfect inside of it and also has an insert for the gift card or a photo on the left. 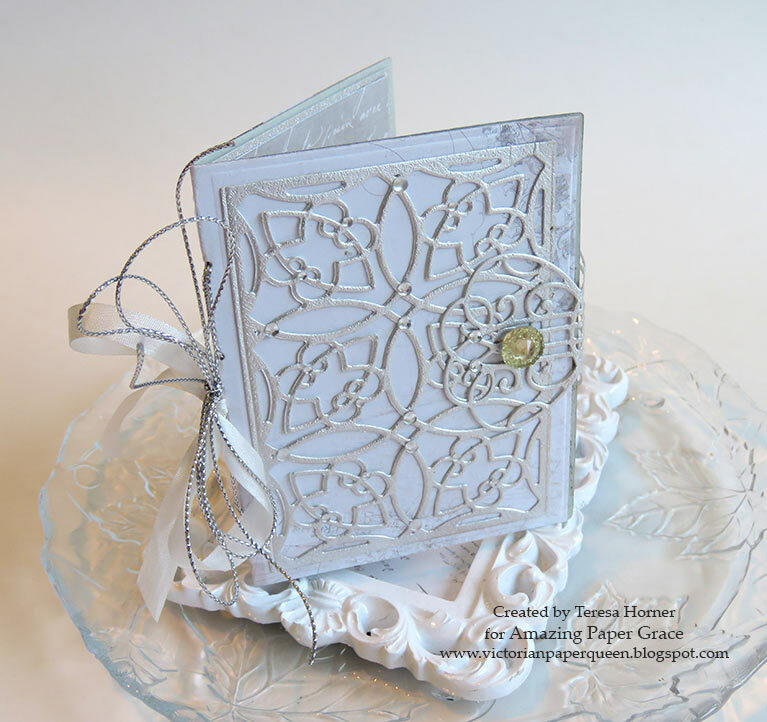 For my sweet book i cut and embossed the gift card insert in a pretty taupe and ivory print and also stamped a nice sentiment for the right side. All of the pieces i matted in the silver cardstock that i used for the front of my mini book so that it all went together nicely. 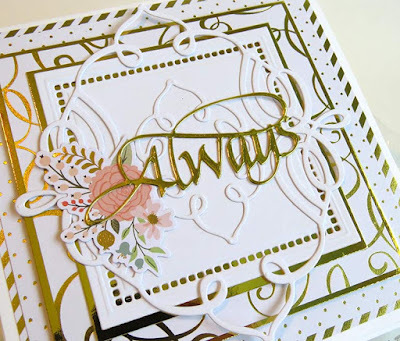 Here is a close up of the front so that you can see all the pretty swirled detail in the die. 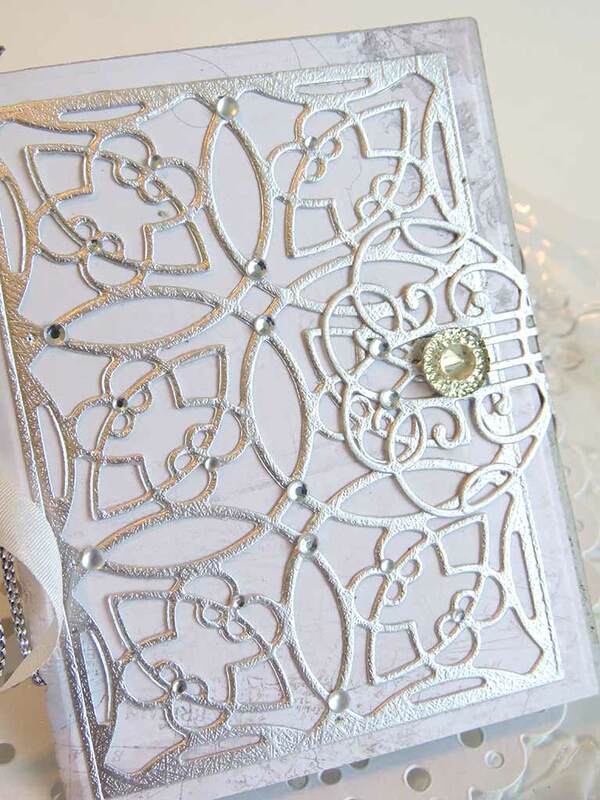 I added lots of rhinestones to my book front to make it sparkle like the bride does for her wedding day. And to finish my book i tied in some silver cording and just a bit of silk ribbon onto the side. 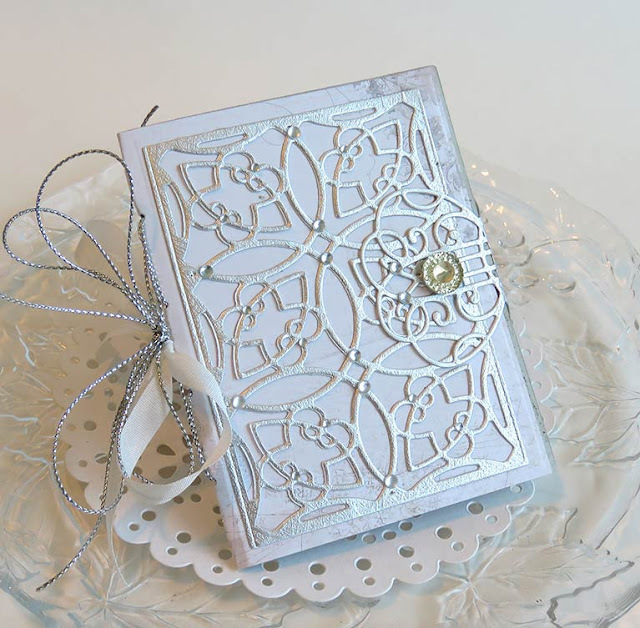 There is also a piece to make a closure for the book so i cut mine in silver to mix with the die front and found the perfect rhinestone to finish it off. It's looks like a gorgeous diamond ring!! I hope you get a chance to order this cute die and make some of these for your family and friends this year... they would be great for Birthdays and Christmas too.